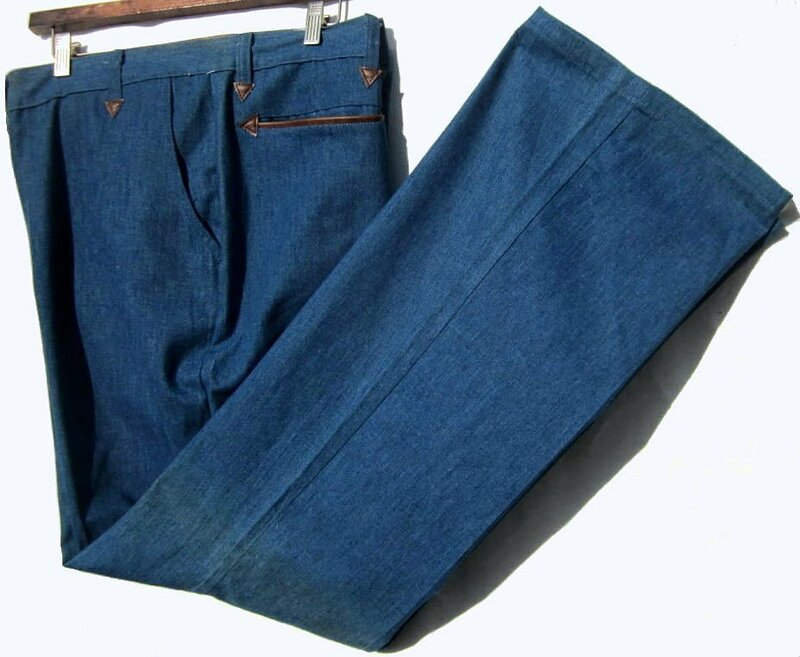 This pair of authentic 70s pants has never been worn. The pants are marked irregular. The only defect I can see is some lightening of color as seen in photo around one knee. The waist is 47" for a 46" fit. 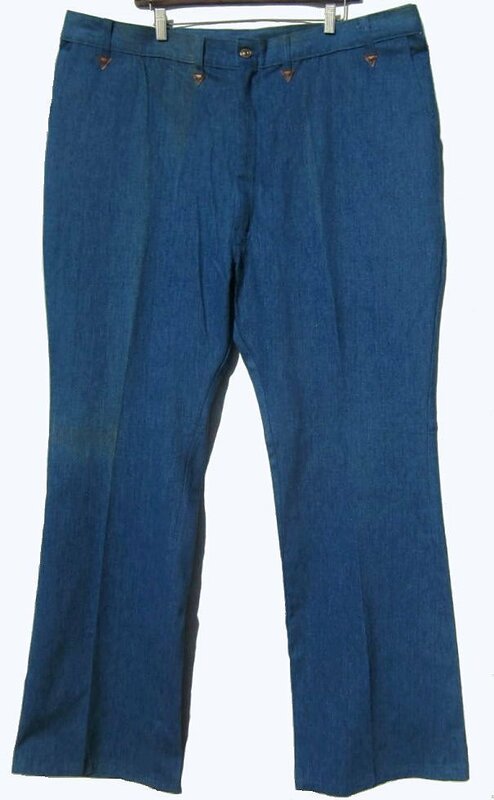 The inseam length is approximately 34.5". The pants have a full cut and a flare at the bottom, 24" around. They are sturdy real machine washable and dryer safe pants. Deadstock as well.